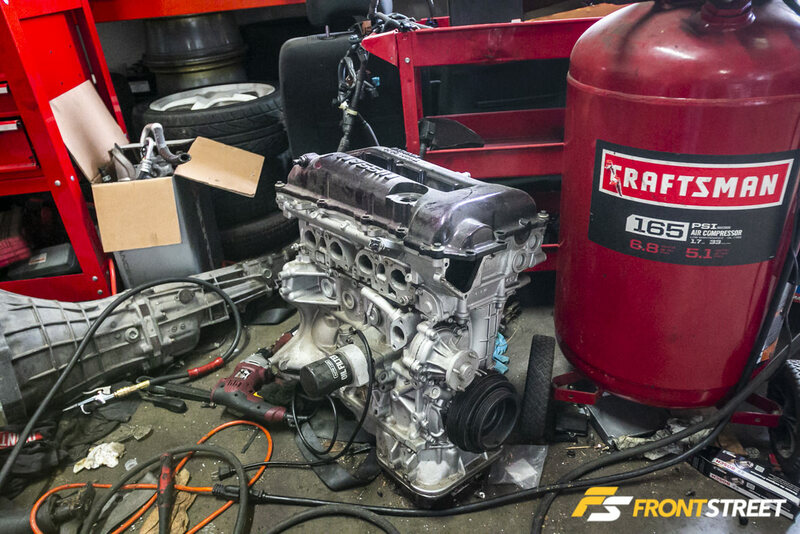 If you’re in the market for a used or rebuilt engine, it’s fair to assume that it’s because you’ve either pushed your engine to its limits and damaged it beyond repair, or want to perform an engine swap for performance gains or another reason. Regardless of your situation, buying a used engine can be a great solution, but it is also important to not get caught with a lemon, because nobody has time (or the spare money) for that. We’ve consulted with an expert in the field and come up with 12 killer tips to ensure your engine-buying process is a success. There isn’t a universal set of rules that govern how to inspect a used engine prior to purchase, as every mechanic or shop has their own theories and methods. Our friends at Ichiban JDM—importers of Japanese engines and transmissions— have shared some pointers that will come in handy to protect yourself from purchasing a problematic used engine. 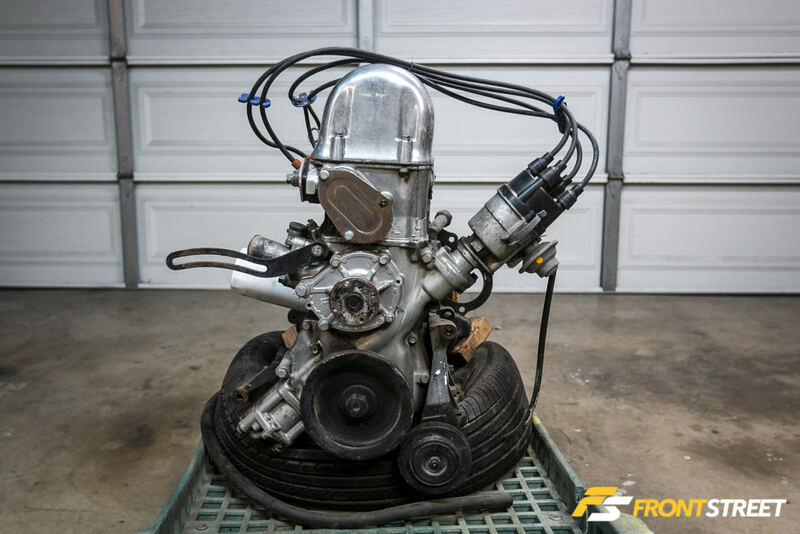 We wondered whether there is a difference between buying an engine from a private seller on the internet or Craigslist versus purchasing one from an established supplier. 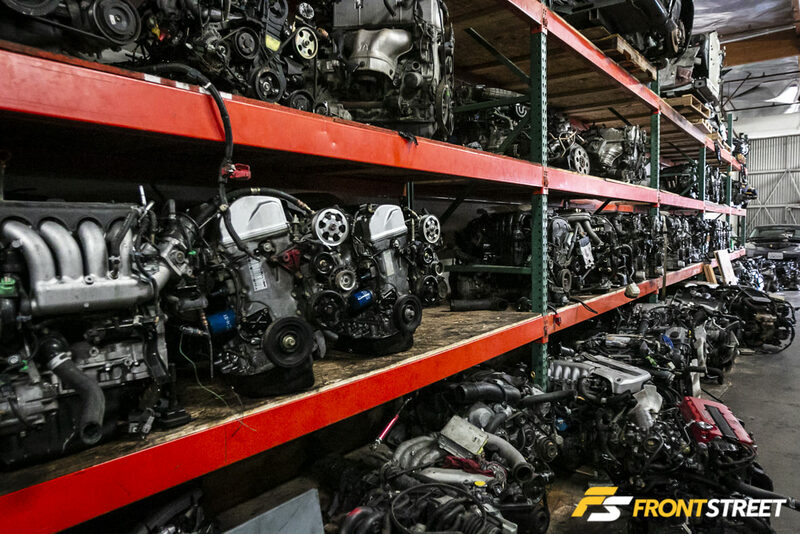 “Professional engine suppliers like Ichiban JDM purchase engines first-hand so we know exactly where they come from. Our parent company, based in Nagoya, Japan, logs a vehicle’s mileage, then conducts full diagnostics on the engine prior to pulling it out. Once the engine touches down at our LA headquarters, we test the engine once more to make sure it’s ready to sell,” says Chris Ankor, general manager of Ichiban JDM. “Most professional engine shops stand behind the engines they sell with a 30-day startup warranty, as opposed to buying from a private party who insists you meet at some gas station because he or she doesn’t want you to know where they live,” says Ankor. At one time or another we’ve all witnessed or heard about some buyer who visually inspects an engine, then pulls an impulse buy because it looks clean, but doesn’t bother to test it because they lack the proper tools. Those are the same guys that end up getting hosed with an engine that’s only good enough to be used as a coffee table. 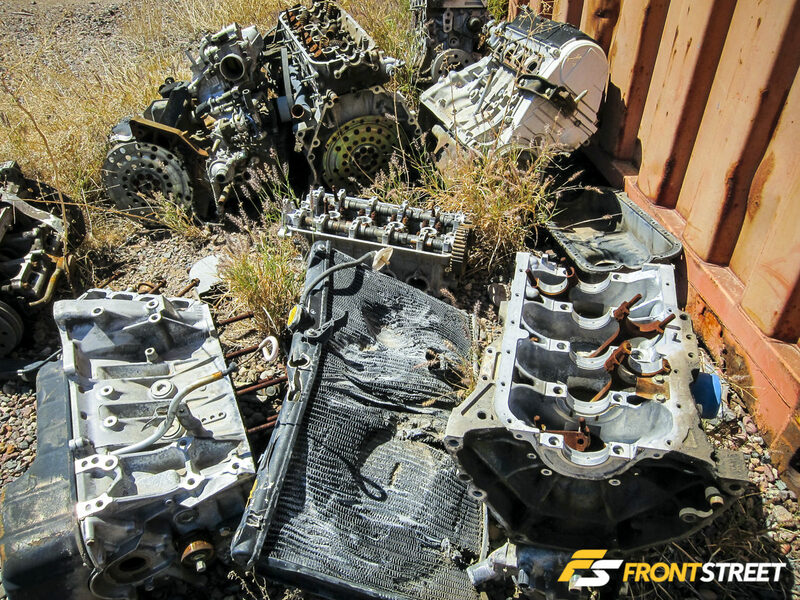 Resist the temptation of buying an engine that’s been torn apart or comes in pieces. Ankor suggests always looking for an engine that’s complete—fully assembled, with an uncut engine harness, complete sensors, charge pipes intact if turbocharged, fuel rail, and injectors. Also make sure to check that all the main components such as the alternator, starter, power steering pump, and AC compressor are accounted for, prior to handing over your cash. “Any time there are parts made of rubber, we recommend that the customer replace them. I like to compare them to used tires that have been sitting on the shelf for a long time and have begun to degrade. It’s peace of mind to eliminate the chance of something like an intake hose cracking after a few months,” says Ankor. If you’re looking to perform a Toyota 2JZ-GTE twin turbo engine swap into a Lexus GS300, the procedure is pretty straightforward; it’s virtually a plug-and-play engine. 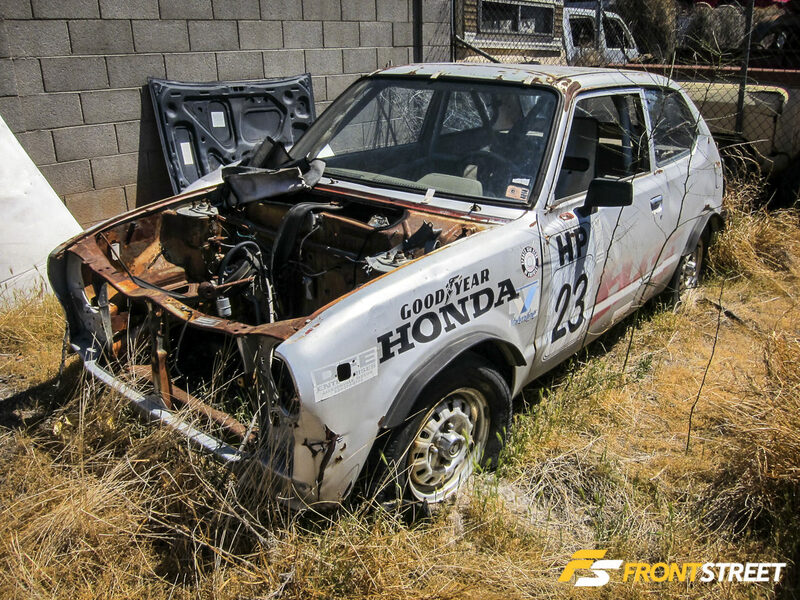 But if you’re planning on swapping the same engine into a 240SX using the factory ECU, then there are a few additional items you want to look for on the electronics side when shopping around. One key item is being able to differentiate between an early and late model 2JZ-GTE that’s equipped with an immobilizer and one without. “Finding a non-immobilized engine will help decrease your install time and make the swap easier,” says Ankor. 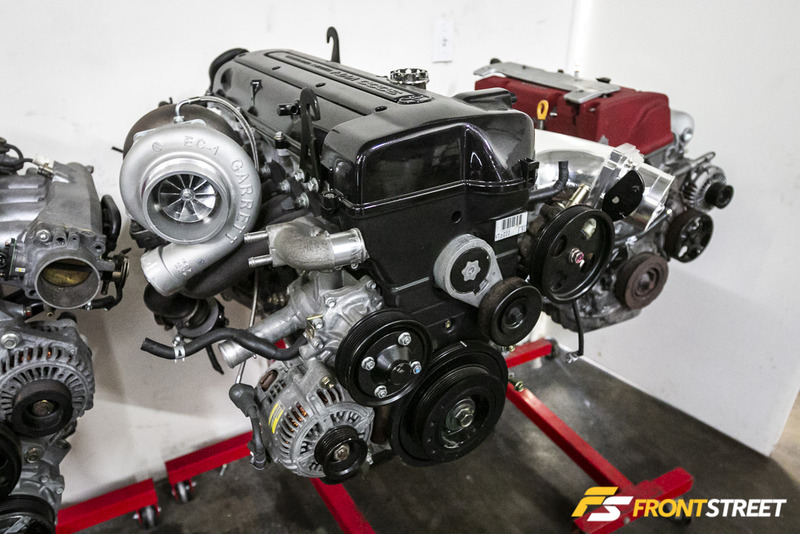 When purchasing a turbo engine, take into consideration that there are more items to mark off your checklist when compared to purchasing a naturally aspirated engine. The 2JZ-GTE has both a mass air flow (MAF) sensor and a manifold absolute pressure (MAP) sensor, which are two vital components required to start the engine. Before you venture out to buy an engine, know everything about that engine and the parts required for it to run. Some engine sensors are like gold if you have to buy them separately; MAF sensors can cost $400 or even more. “Obtaining the electronics on certain types of engines like the 2JZ-GTE turbo engine are more critical than a pedestrian Honda engine. Make sure each of those parts are present. If the engine in question has a lot of those parts missing or damaged you can still purchase them, but replacement parts will add up quickly,” says Ankor. The quality of any vehicle’s engine oil is one of the most important elements in keeping a car running reliably. Over time, oil will break down and lose viscosity, which causes premature bearing wear, camshaft and piston degradation and lubrication problems. We recommend performing an oil analysis to know the condition of used engines. Remove the oil filler cap and look underneath. If there are a lot of black carbon deposits under the cap, this is a sign of poor maintenance. If the underside exhibits a white or creamy substance that’s a big potential problem. Check the oil quality and level of the engine oil using the dipstick. If it looks like a mud-slush, it means the current owner didn’t bother to change the oil for a long period of time, so it’s definitely time to reconsider buying the engine in question. 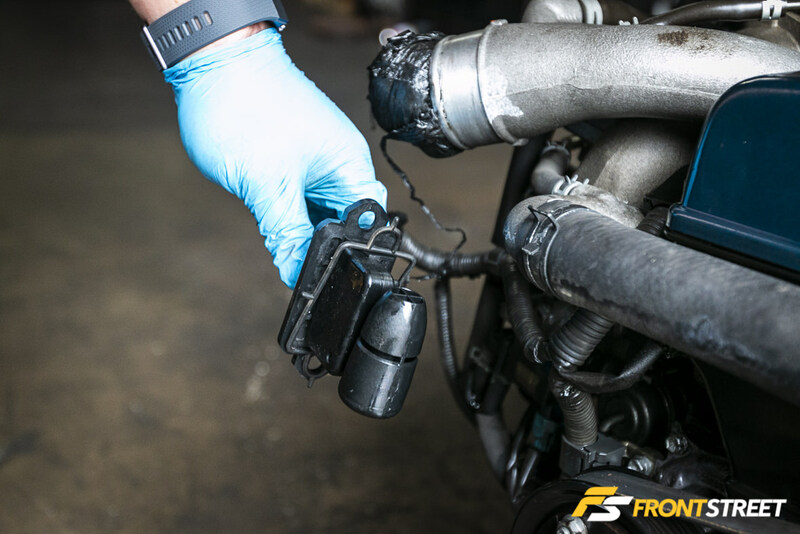 The general rule of thumb for oil condition is as follows: if it’s black, it overdue for an oil change. If it’s brown, it’s time to get an oil change soon. If it’s white or mocha-colored, it can be a sign that a blown head gasket is leaking coolant into the cylinders and mixing with the oil. 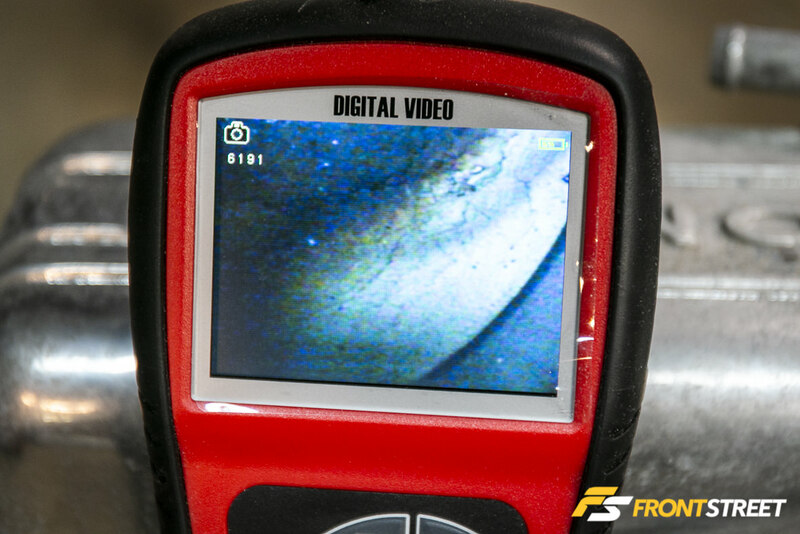 Unless you’re a professional mechanic, you’ve probably never considered owning an inspection camera. Borescopes are valuable tools for inspecting an engine’s internal components and eliminates the need to disassemble the engine for routine inspections. You can pick up an inexpensive borescope from your local Harbor Freight store (or online) for about $80. As an engine accumulates mileage or suffers some type of mechanical failure such as piston ring failure, blow-by increases. This dumps more unburned fuel into the crankcase, which dilutes the oil and causes accelerated wear on engine components such as bearings, pistons or gouging/scoring of the cylinder walls as shown on the borescope display. We put our borescope to the test using a Datsun L18 engine we pulled from storage. Prior to this test, the condition of the engine was unknown. The only information provided to us from the previous owner was that the cylinder head was sent to the machine shop for servicing. Cylinder number four revealed the piston top with heavy carbon buildup on one half while the other side was clean. The clean area was of concern as it was an indicator that a blown head gasket or cracked cylinder wall was leaking coolant into the cylinder and steam-cleaning the piston. Revealing this problem would have been impossible if we have not been able to use the borescope to see the engine’s internal condition. 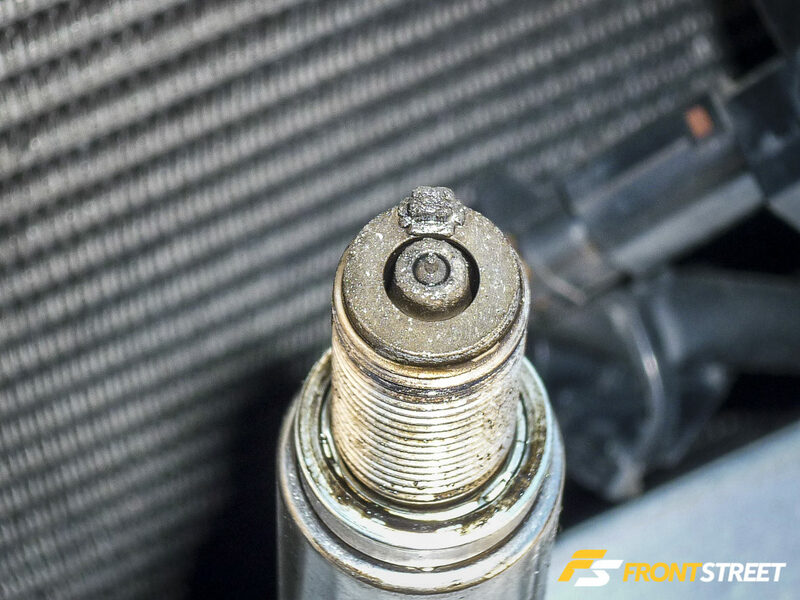 A lot can be learned about what is happening in the combustion process by properly reading each spark plug. 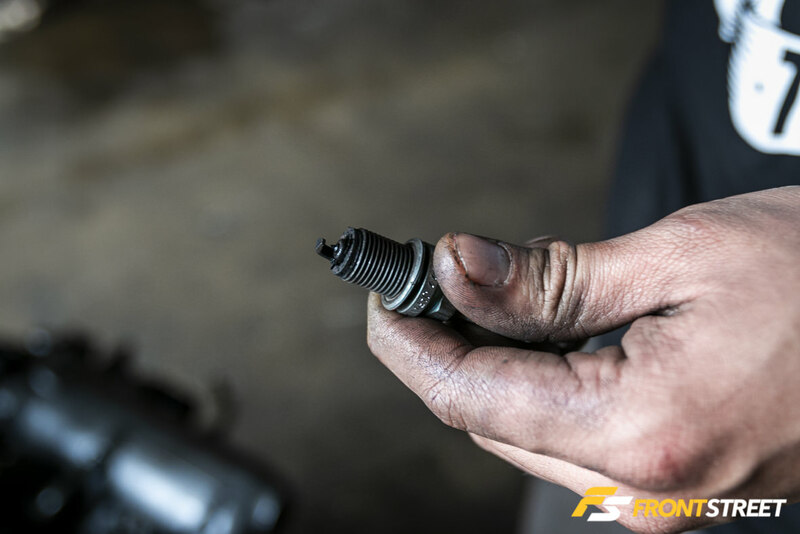 Reading spark plugs can also give you an early indication of a problem that may be just beginning. In a properly-tuned engine, the plug tips should exhibit a tan or brown hue. A black or ashy soot texture on the insulator indicates overly rich air/fuel ratios (AFRs), while very light tan or white, blistered insulators may point to an AFR that is too lean. Wet plugs or oil on the plug could indicate a piston ring problem. Melted or missing electrodes, as well as damaged or destroyed insulators, are obvious indications that something has gone seriously wrong with the engine. 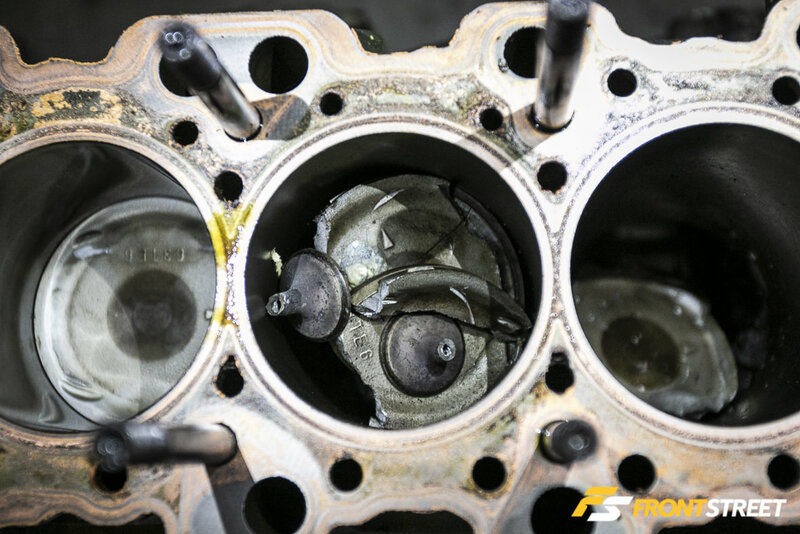 If you pull a plug and happen to see something that looks like this, we advise you to quickly walk away as it will be a clue that internal engine damage has occurred to the pistons, cylinder walls, valves, rings, or other internal parts. This spark plug was pulled from a Subaru STI. The boxer engine experienced an over-boost failure with lean air/fuel conditions which ultimately led to catastrophic piston failure. Although rare, turbo failures do happen. Most failures are oil-related, but they can be caused by a number of problems including age, thrust bearing failure from low oil pressure, or oil seal problems. Always inspect the turbine for a broken compressor shaft or damaged wheel. Foreign object or dirt ingestion (dusting) can cause inlet blades to round off or become damaged, especially if an air filter isn’t used. To test the condition of the turbocharger, remove the filter or inlet pipes and check the radial play of the input shaft by gently moving it back and forth. If there is more than normal (about 0.5 mm) of play on either side of the shaft, it’s out of balance and will require service. 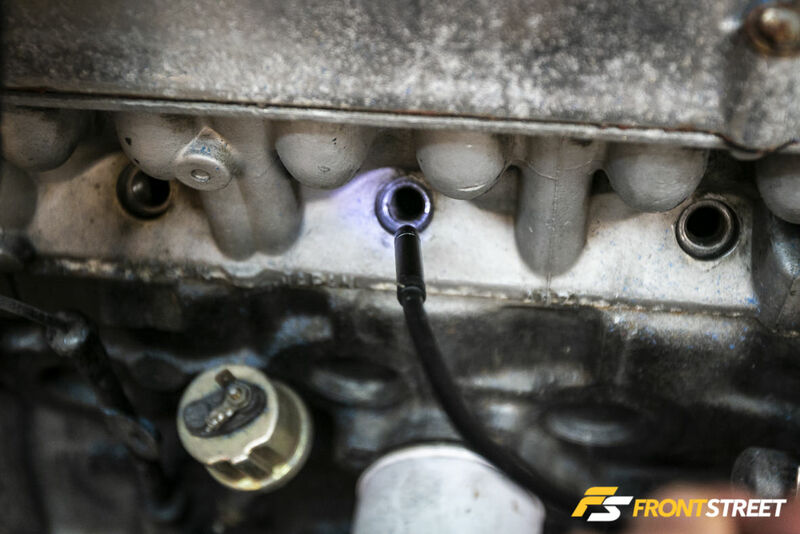 If the inlet and outlet charge pipes, turbine housings or throttle body have excessive oil residue inside, that could be a sign of blow-by caused by faulty piston rings or turbo oil seals going bad. 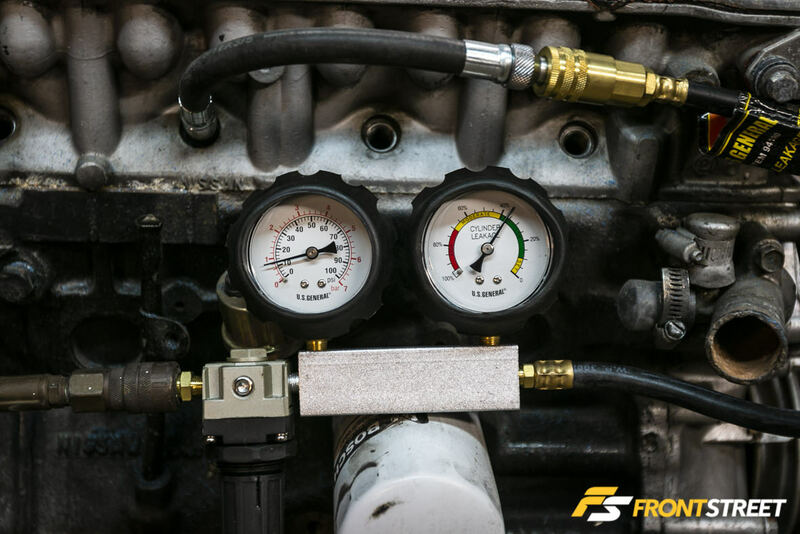 Although both tools are designed to measure cylinder pressure to diagnose engine problems, compression testers are designed to offer a quicker and more convenient solution between the two. 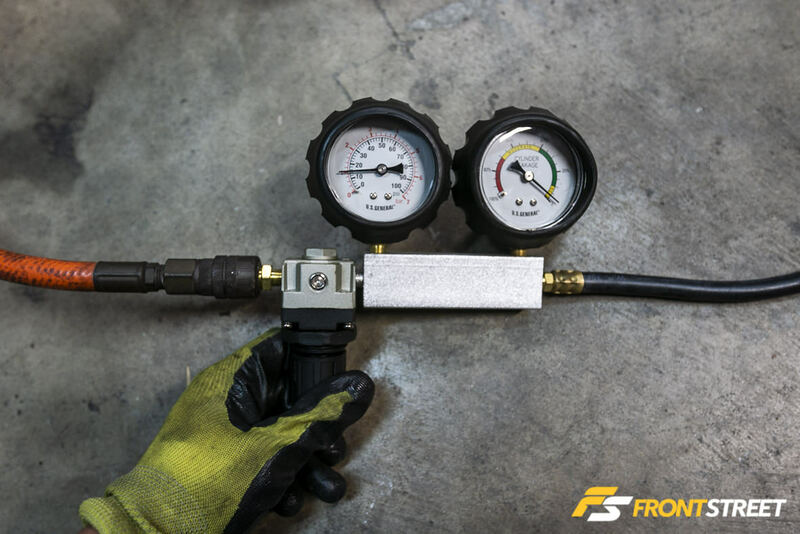 Not only are compression testers less expensive, they can be used in more situations, such as a visit to your local scrapyard or in the garage when a portable air hose or compressor might not be readily available. A compression test is typically done prior to a leak-down test and is an easy way to determine the internal health of your engine; a majority of used engine shops will use this testing method to obtain information on an engine’s condition, then pass it on to their prospective buyers. However, there are drawbacks to relying strictly on a compression tester, as several uncontrolled variables are introduced which can cause the final numbers to be skewed. A weak battery, corroded starter cable, or a hot starter can all cause the engine to crank more slowly, which can affect the test results. Even air density and valve lash can affect the readings. Keep in mind that a cold engine will have less compression then a warm engine. 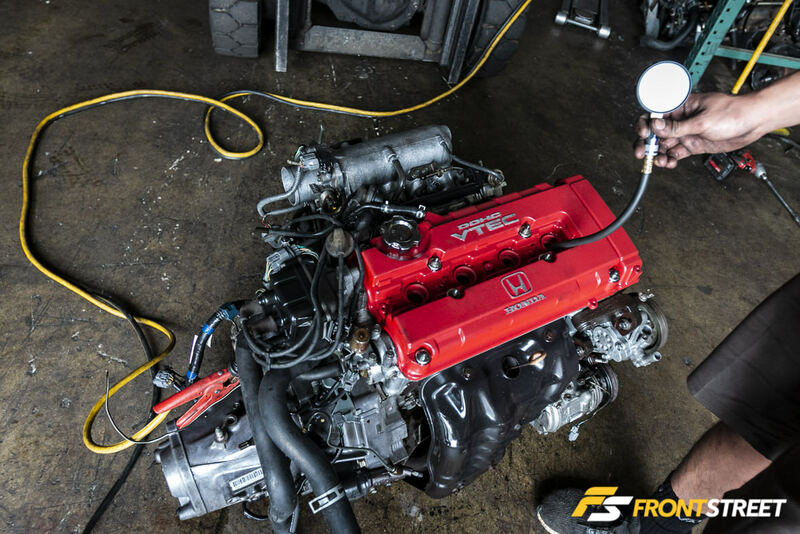 Upon our request, Ichiban JDM randomly pulled a ’98-spec Civic Type-R engine off their shelf for a close-up inspection. 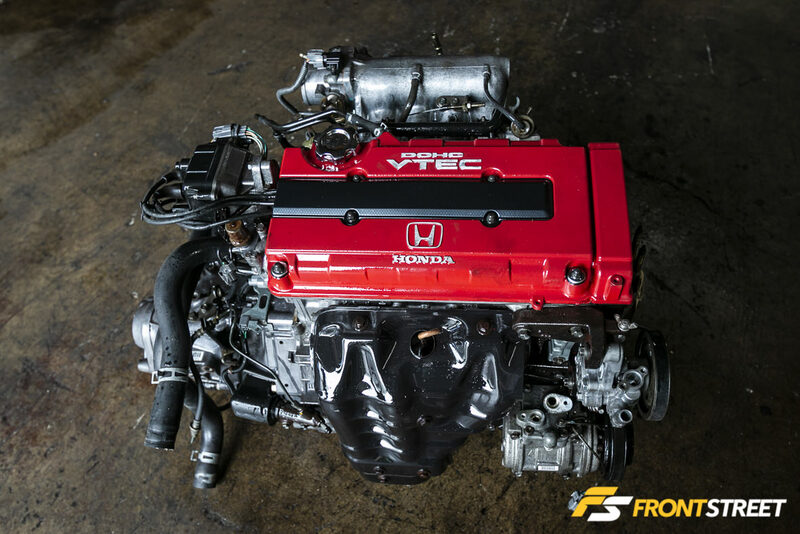 The ’98 Civic Type-R swap is a popular performance engine upgrade, and features some differences from previous ’96-’97 Type-R models to make it more attractive to buyers. These include a 4-into-1 exhaust manifold and a machine-ported cylinder head compared to the earlier models which were hand-ported at the factory. “When compression-testing this specific type of engine, we expect it to hit at least 210 psi, due to the nature of its high-compression build,” says Ankor. Ichiban JDM performed another compression check for us, this time on a 2JZ-GTE engine pulled from a JDM-spec Toyota Aristo. A quick bump revealed cylinder No. 1 cranking out 155 psi, which Ankor mentions is considered really healthy for this specific year and model engine. “Sometimes you will see the same type of engine pushing 180 psi, but higher isn’t always better. When the numbers read high on a used engine that would indicate carbon buildup on the piston crowns which offer a false reading,” he says. “The most important thing when buying a used engine—whether from a private seller or an engine supplier—is to make sure the compression is similar across the board. You don’t want to see more than a 10-percent variable. That might sound tight, and some guys go 15-percent just because the engine is cold, but we base the engine health based on a scale of 5- to 10-percent. If it reads 155 psi on one cylinder and 160 psi on the next, that’s fine, but if its 150 psi and 170 psi on the next, then that can indicate something’s not right with that engine,” says Ankor. “Another thing to look out for is someone trying to sell you an engine that they poured automatic transmission fluid, or thick oil down into the cylinders, prior to conducting the compression test. We test our engines dry to ensure repeatable compression number results. Any engine with worn-out piston rings tested wet will always show higher compression numbers versus a dry test. We always test the engine dry to test the true cylinder conditions. Of course it’s not always good to keep doing compression checks dry, but a quick compression check should be fine. 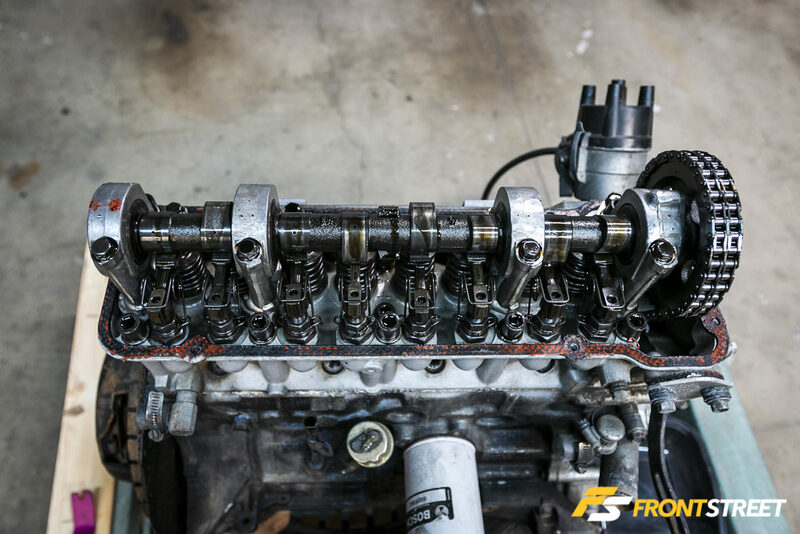 There are times when engines like this 2JZ-GTE use hydraulic lifters to seal, so they require oil and a series of cranks to help build compression. We received this engine less than two weeks ago from Japan so it’s pretty fresh and in good running condition. When any engine sits for a long time, oil needs to circulate though it to obtain proper compression measurements,” he explains. 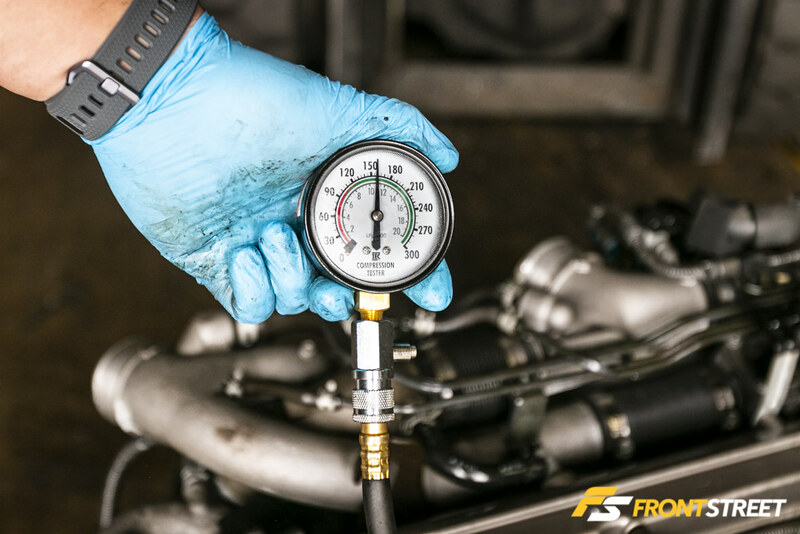 Performing a leak-down test will offer you more detailed information about the mechanical condition of your engine compared to using a compression tester. 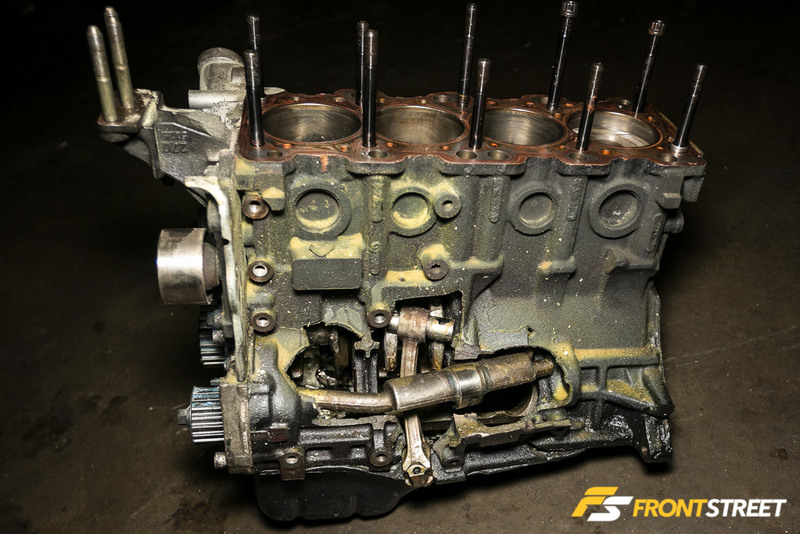 Leak-down testing can detect a number of issues including pressure leaks through faulty piston rings, worn cylinder walls, bent valves, or a faulty head gasket, without the need to disassemble the engine. To use a leak-down tester, you will need a constant supply of compressed air and a leak-down gauge to perform this test yourself. 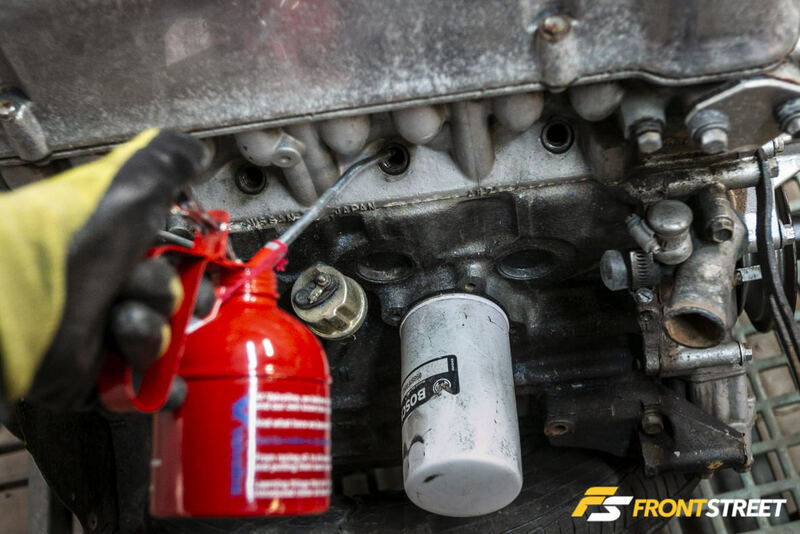 Remove the spark plugs and rotate the engine until the piston in the cylinder being tested is at top dead center (TDC), ensuring both intake and exhaust valves are closed. Thread the tool into the spark plug hole and attach the other side to an air hose source. Apply the compressed air and modulate the knob to get a steady reading from both gauge faces. Using the same amount of air pressure on all cylinders, and listen carefully for sounds of escaping air. 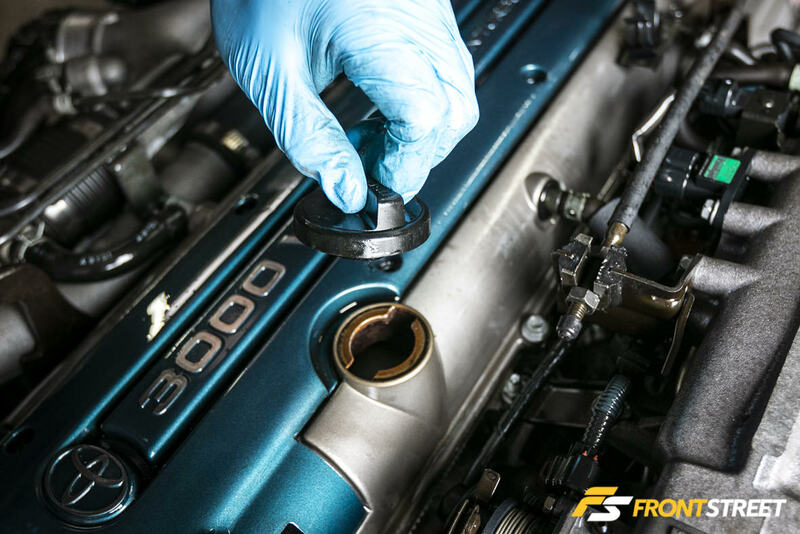 If you hear or feel air escaping at the oil filler cap, you are losing compression through the rings or a scuffed cylinder bore. If you hear or feel air escaping though the header or exhaust ports, that is an indication that the exhaust valves are bent or not properly seated. If air is heard near the throttle body/intake manifold, all signs point towards the intake valves. And finally, if air is escaping though the radiator hose, there’s a good possibility the engine has a blown head gasket. We tested the condition of our L18 engine using a leak-down tester and were rewarded with some surprising results. The tester revealed significant problems with all the valves leaking from all four cylinders, as well as blowing air out from the oil cap and coolant passages. Visually, the engine looked great, but upon testing, we came to the realization that it was a piece of junk. 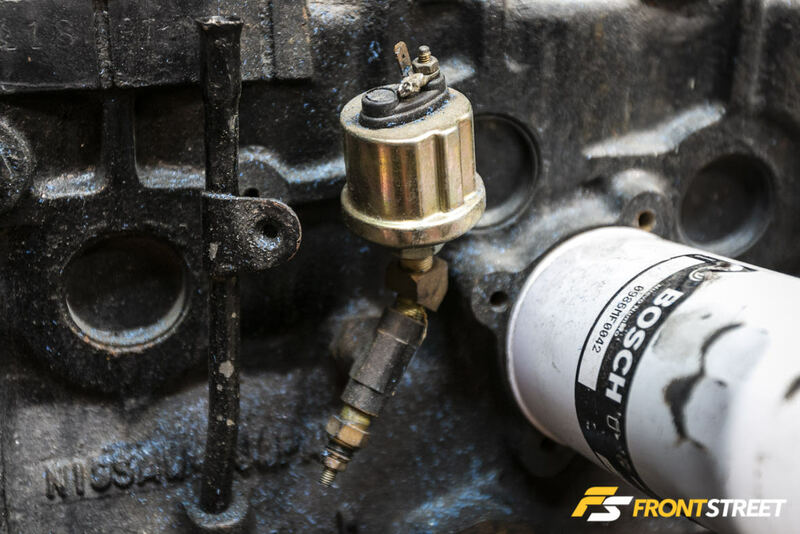 Oil pressure determines the wear of an engine’s internal parts. Why is low pressure bad? Because the pressure of the oil depends on the efficiency of the oil pump along with the size of the clearances through which the oil will flow. Excessive clearance is most often caused by worn bearings, and will cause a decrease in oil pressure. Certain engines are notorious for oil pressure problems, among them the Subaru EJ20 and EJ25 platforms. The Subaru oil pickup tubes are brazed from the factory and have been known to crack at the base of the strainer, which causes the engine to fail from a lack of oil pressure. Using an oil pressure gauge would definitely tell you if a cracked pickup is present. 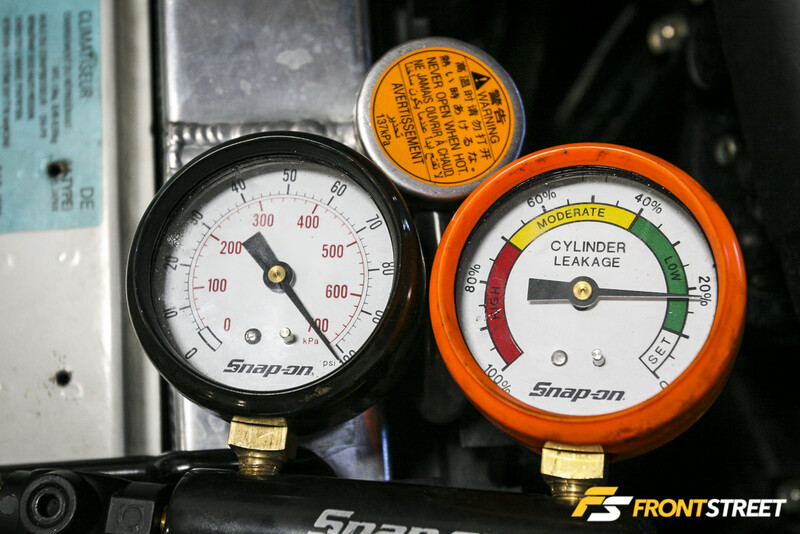 To check oil pressure, simply replace the factory oil pressure switch with an oil pressure gauge. Begin by making sure there is sufficient oil running though the engine before attempting to check for pressure. Ankor mentions that if the pressure hits anywhere from 60 to 80 psi on a slow bump depending on the type of engine, that’s indication that the engine checks out as healthy. 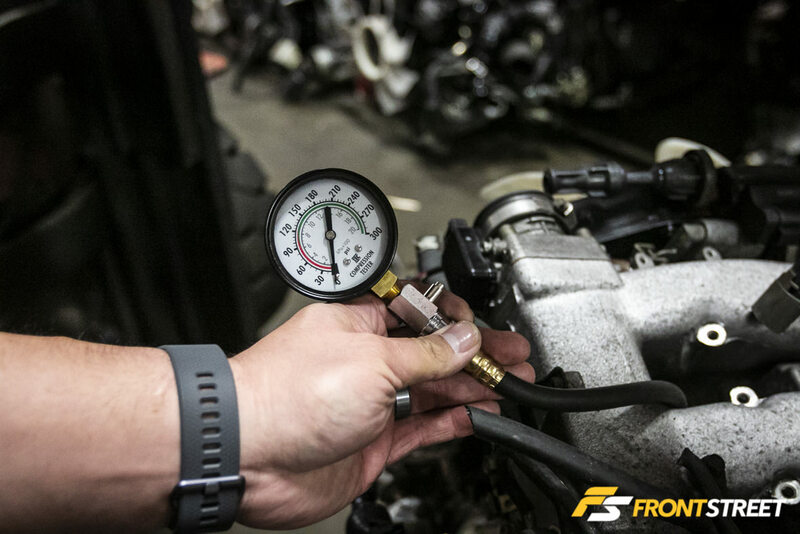 Take note that a weak or broken oil pressure relief valve, low oil level, contaminated oil, or even a low-viscosity oil (wrong weight) can all cause low-pressure readings. Inspecting the cooling passages can give you details into the condition of the engine. “Older engines with cast iron blocks are especially prone to rust and corrosion. If you look inside the radiator hose or coolant passages, make sure there isn’t any orange corrosion which signifies rust. Another key item to check if the radiator hose are still on the engine is to give it a quick squeeze. If the hose is soft or ballooned out that’s a good indicator that the engine previously overheated or suffered from a bad head gasket,” says Ankor. Give it a thorough external inspection to make sure there are no signs of a cracked block or impact damage from a front end collision. Does the engine look clean, or is it dirty and oily? 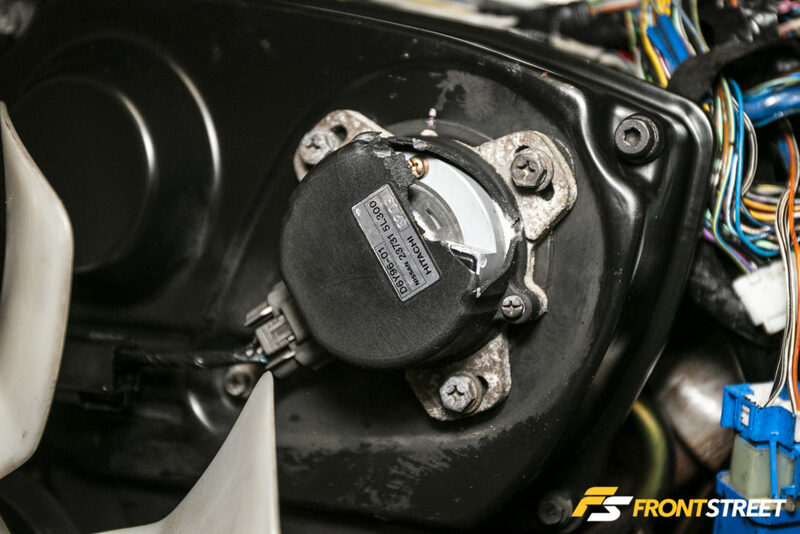 Crack open the throttle body to see if there are any traces of thick or crusted buildup of oil present. Be conscious of leaking oil at key places such as the front of the engine near the pulleys attached to the front of the engine. Look for oil leaks at the rear of the engine under the main seal towards the back. Also check for any general leaks that may appear around the sump or valley or rocker covers. 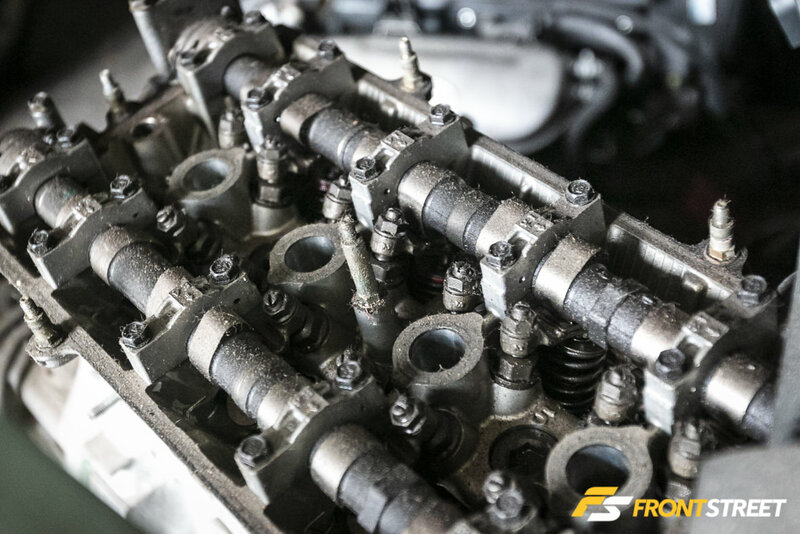 If you’re mechanically unqualified to inspect an engine, we suggest asking a certified mechanic or friend familiar with the engine you plan to purchase to assess some of these factors listed above. It’s always better to be safe than sorry. Happy hunting!